Wood is the general name given for the fibrous structural material derived from tree trunks, roots, and branches. Wood is broadly divided into softwoods (gymnosperm) and hardwoods (angiosperm). 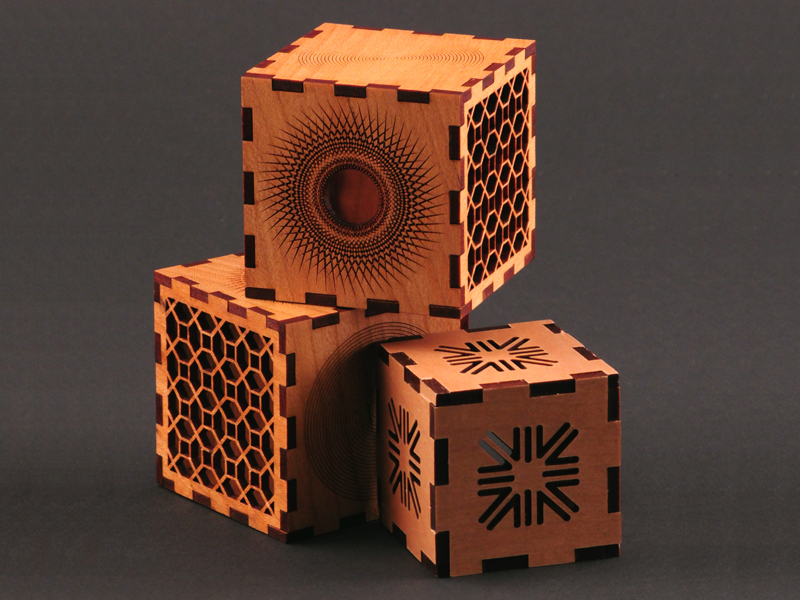 For the considerations of laser processing, wood can also be classified by its density. Density is influenced primarily by the tree species. For example, ironwood is very dense and balsa is very light. However, other factors such as climate and soil conditions also play a role in the densification of wood fibers. Wood is perhaps the most versatile natural product used by societies throughout the ages for its aesthetics and physical properties. It is rigid, but can be shaped with temperature, moisture, and mechanical methods. It is impact resistant and exhibits a good strength to weight ratio. However, many of these properties are anisotropic and maximum utility and beauty is achieved when the wood grain is oriented perpendicular to the surface. 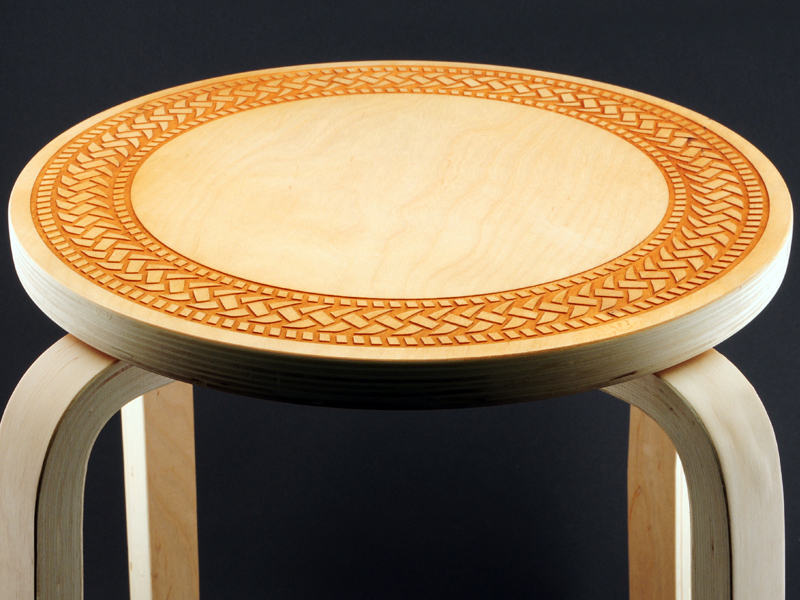 On a chemical level, wood is comprised of cellulose and lignins, two of the most abundant organic materials on earth. This chemical structure undergoes partial combustion upon interaction with laser energy. The primary factor affecting the results of using Digital Laser Material Processing (DLMP) Technology with wood is the density and the uniformity of its density. This is explained further in the individual processing sections below. 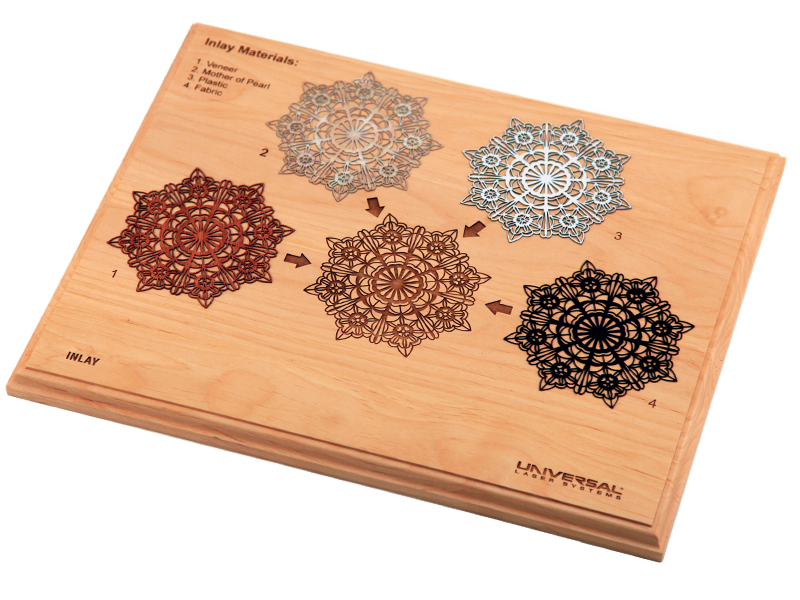 The most useful effects of laser energy with wood is material ablation and material modification. Each of these processes are discussed in their respective section below. All species of wood are excellent absorbers of CO2 laser energy (wavelength=10.6). When wood absorbs laser energy, it rapidly converts optical energy into molecular vibrations (heat). Sufficient heat leads to rapid decomposition and combustion. Material directly in the laser path is ablated away into vapor and fine particles. The material just outside of the laser's spot or path will conduct some heat, but not enough for complete and thorough combustion and ablation. This area of thermal affect is often referred to as the heat affected zone or HAZ. The surface quality will vary from darkened and sticky to black and sooty. Some of these combustion products are water soluble, meaning the dark residue can be partially removed with water and a washcloth or plastic brush. 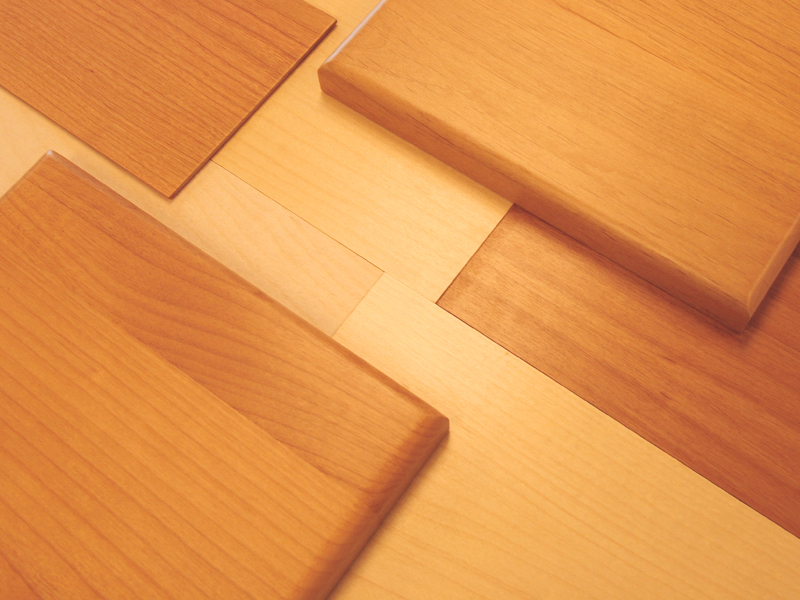 Most wood types are easy to cut using DLMP technology. 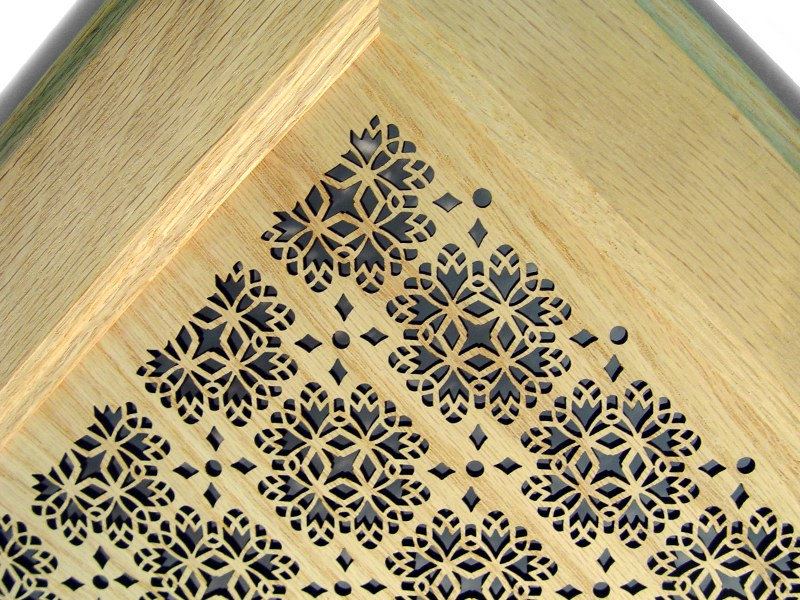 The edges that result from laser cutting may be darkened or charred. In general, charring and edge discoloration are proportional to material thickness and inversely proportional to laser wattage. 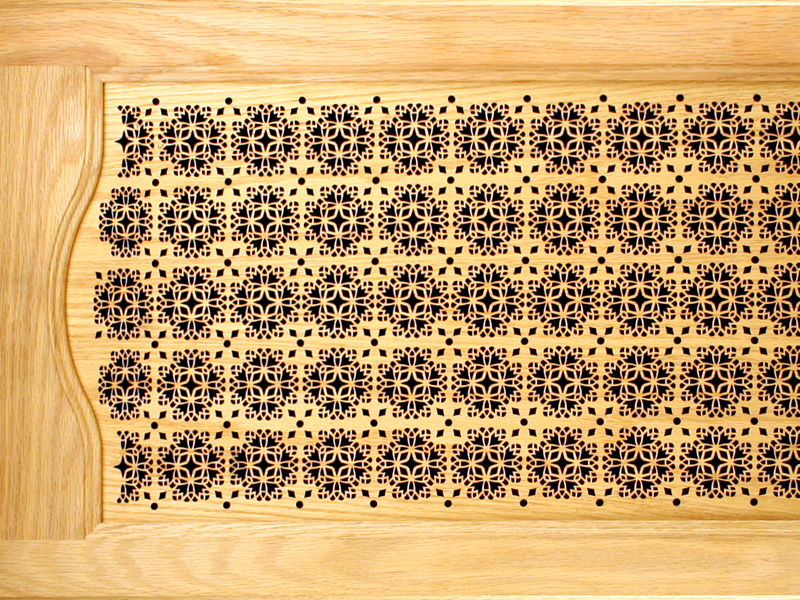 For thinner sections of wood cut with higher power, the edge may exhibit a brown, sticky residue that can be removed or reduced with water and a soft brush. Thick sections of wood cut slowly with lower power lasers will char and cannot be cleaned easily. 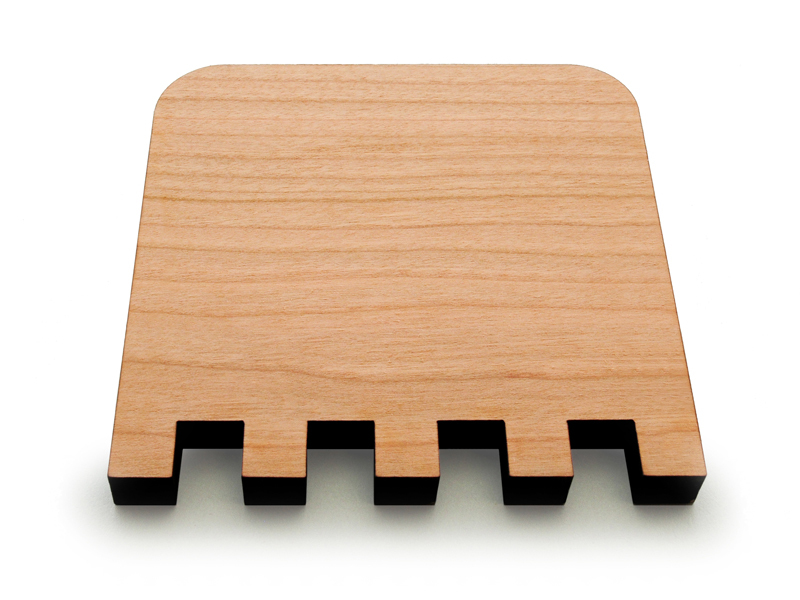 Laser cutting wood is demonstrated in the example with a square joint and rounded corners laser cut from cherry wood. 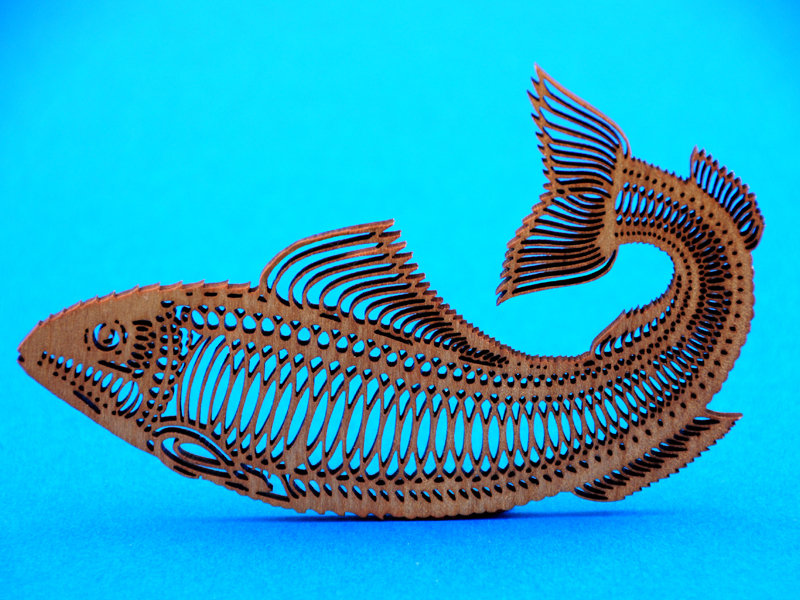 The basic capability shown can be extended to nearly any shape, even complex and closely-spaced cuts. 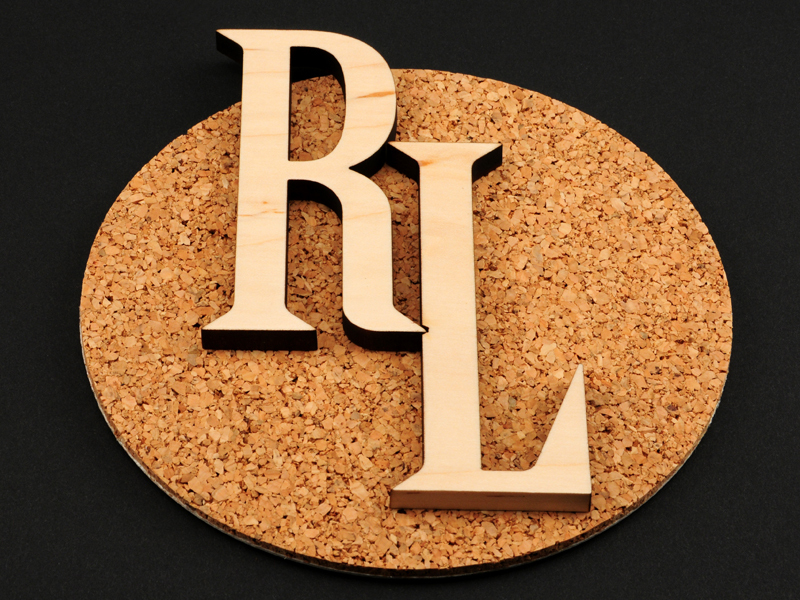 Laser engraving is the process by which material is removed from the top surface down to a specified depth. This is possible due to tight control over laser modulation. 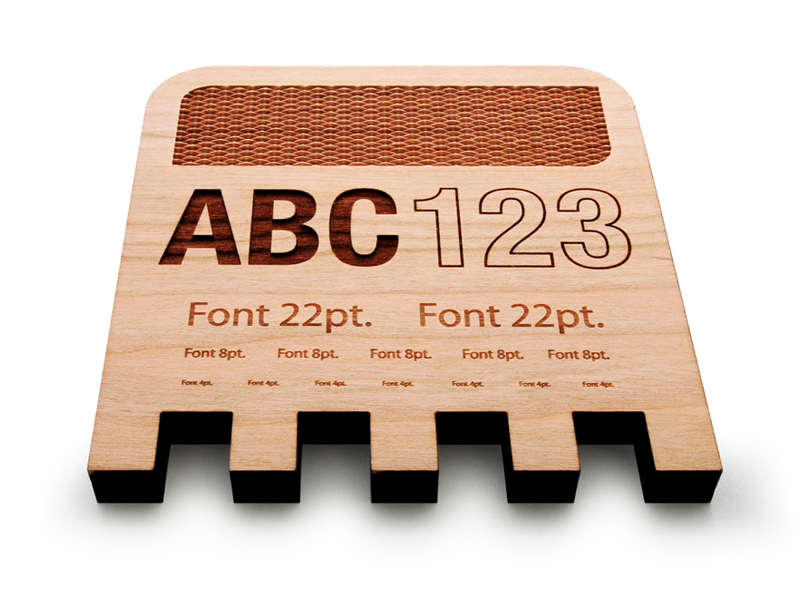 By continuously varying the laser power, laser engraving can be used for textures, photographs and information, such as text and numbers. The example shows how the laser energy can be controlled to remove material to a controlled depth. Engraving wood will yield a residue similar to wood cutting. This residue will hardened if left to dry. It is often desirable to clean the top surface and leave the residue to dry in the engraving as this enhances contrast. 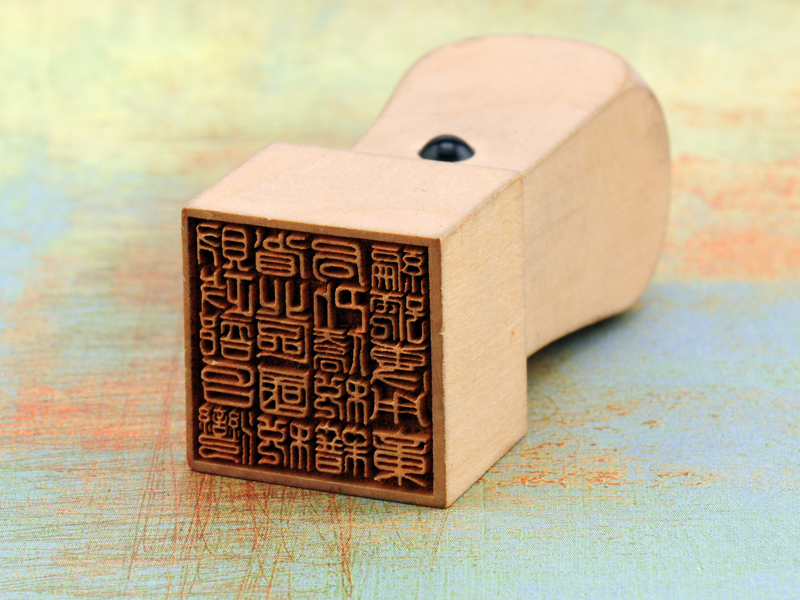 However, you can also clean the engraving with water to improve the appearance of the natural wood grain. When using DLMP technology to ablate material, enough energy is applied to vaporize a significant quantity of material. This leaves a dark residue and is caused by partial combustion of wood fibers as previously discussed. 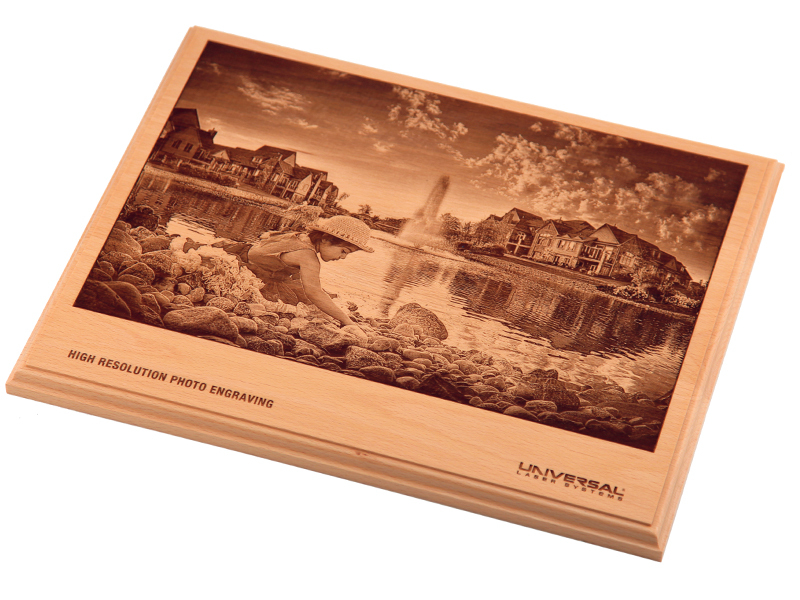 By reducing the laser power, the wood can be darkened without substantial material removal. 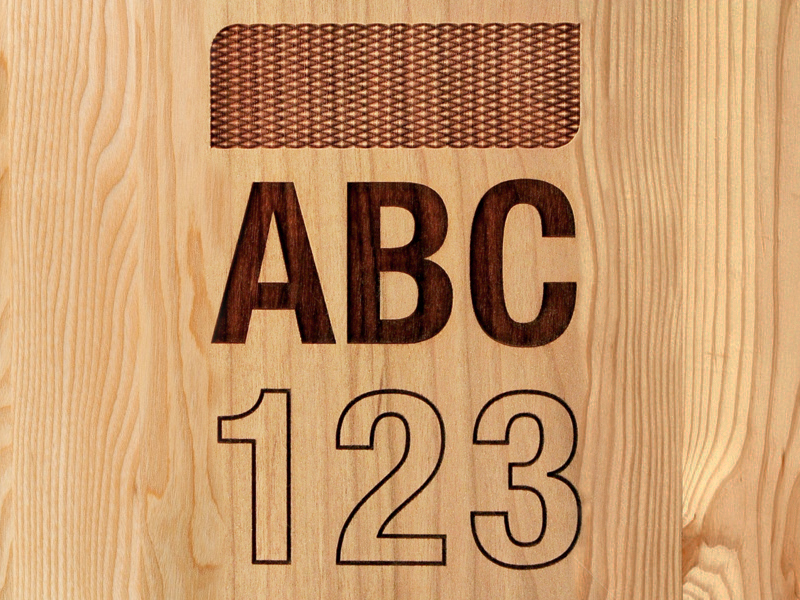 This is a type of material modification and is useful for laser marking wood products. When the laser energy is used to produce a human- and/or machine-readable identification or information on a material, such as a barcode, date/lot code, serial number or part number, the process is considered laser marking. 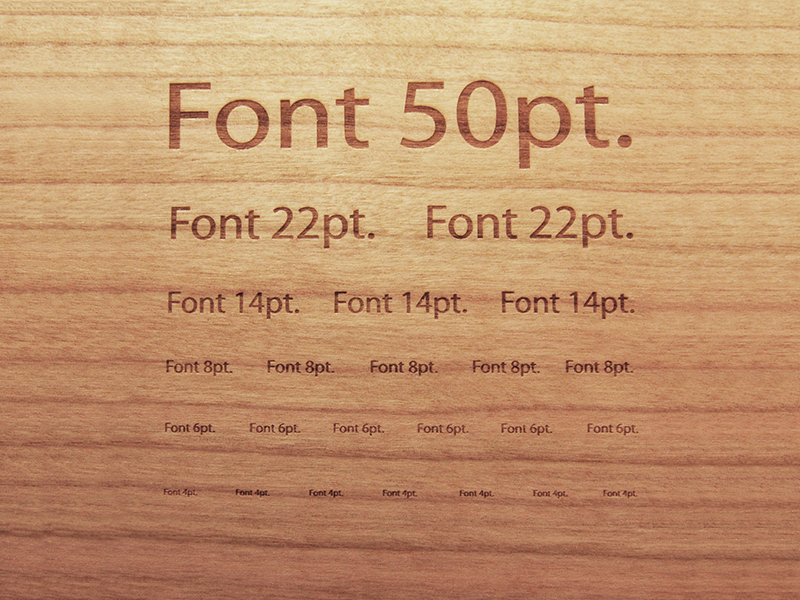 The example image shows a font of decreasing size created by laser marking cherry wood. Laser material interactions almost always create gaseous effluent and/or particles. Processing wood with a CO2 laser generates vapors containing carbon monoxide, acrolein, and formaldehyde, primarily from the combustion of cellulose compounds. Other high boiling point solids and particles derived from the incomplete combustion of lignins will also be generated. The effluent from processing wood should be routed to the exterior environment. Alternatively, it may be treated with a filtration system first and then routed to an exterior environment. Wood combustion is inherent to laser processing and may produce flames. Therefore, laser processing should always be supervised.